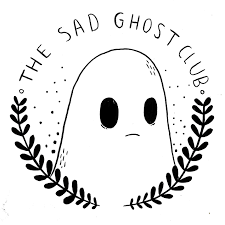 You can find The Sad Ghost Club’s links, shop and social media here, and be sure to email them at thesadghostclub@gmail.com if you’re interested in a custom order! In addition, Lize operates as a freelance illustrator, and her work can be found here. The two were total dolls allowing me to interview them so send them your love! I’m still accepting submissions for my outfit of the day segment which you can submit here, or just to tell me who I should talk to next. < Previous Joe Black, Clown Prince Of Cabaret! Next > An Exploration of Morgue & The Metaphorical Suicide. This is such a good idea, I think this could definitely help people in general, I know if I had found this a few years ago I would have loved to be part of it!